HEBER-OVERGAARD — Not far from the rushing traffic on State Route 260 and the Bison Ranch tourist development, two horses lie dead. 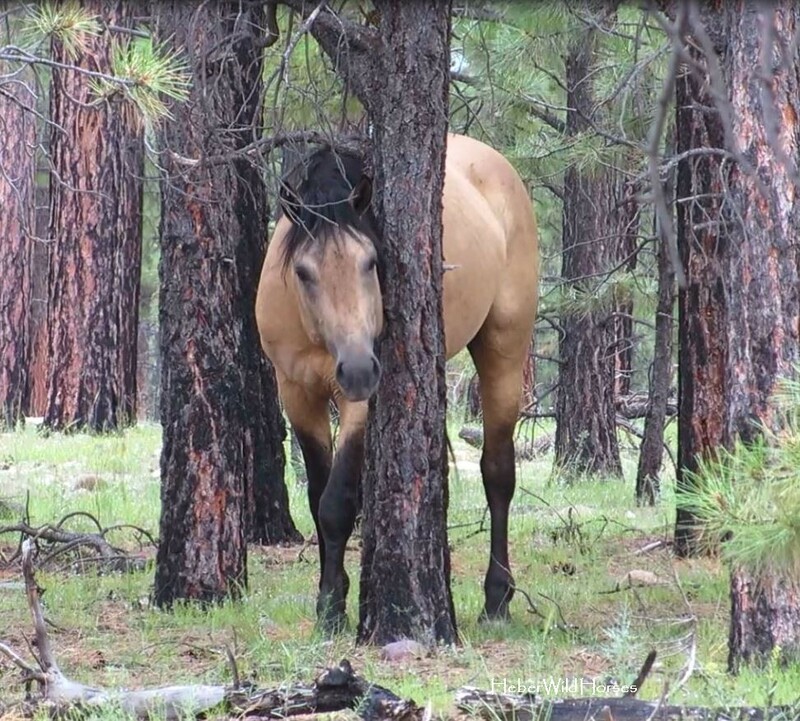 Sanchez was one of several local residents who are sickened, heartbroken and angry after finding a total of four dead horses in the Apache-Sitgreaves National Forests, just a few hundred yards south of SR260. All four horses are believed to be part of the Heber Wild Horse herd that live on over 19,000 acres that make up the Heber Wild Horse Territory. All that remains of two horses are skeletons. The other two horses, a stallion and a mare with a surviving yearling filly, appear to have died on or around Monday, January 21. However, time of death, cause and manner of death is currently unknown. The January 15 sighting of the skeletons was reported by an anonymous party to the Heber Wild Horses Freedom Preservation Alliance (a.k.a. Heber Wild Horses), a non-profit group who has been advocating for the horses for several years. Representatives of Heber Wild Horses reported the information to the Navajo County Sheriff’s Office, as the Forest Service was unavailable due to the federal government shutdown. They also took photographs of the remains, documenting date, time, weather conditions and other vehicles seen in the area. One week later, on Tuesday, January 22, the bodies of two more horses were found dead in the same area as the skeletal remains. The Heber Wild Horses group also contacted the Independent by phone and email on Tuesday. The horses found on Tuesday had barely begun to decay so advocates and local residents are hopeful that their bodies hold clues to their demise. Sanchez is so upset by the deaths of the horses he waited in the area for the veterinarian to “come take the bullets out of the horses,” he told the Independent at the scene Tuesday evening. Members of the Heber Wild Horses group are confident that the cause of death for all four horses and a couple of coyotes found nearby was gunshot wounds. They don’t have proof because they didn’t witness the incidents so they are relying on John Lopez, the Forest Service investigator assigned to the case, according to the Sheriff’s Office. Heber resident and Heber Wild Horses member Robin Crawford has been a boots-on-the ground member for several years. She waited by the horses’ bodies with Sanchez, hoping a veterinarian would arrive before dark. She also spoke candidly to the Independent about the situation. 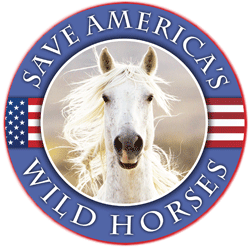 “I’m so frustrated right now; I have just about had it,” says Crawford in response to what the advocates feel is a lack of urgency on the part of the Forest Service when it comes to the Heber Wild Horses. Also on Tuesday, Navajo County Sheriff K.C. Clark confirmed that he had been notified of the incident(s) and was in fact en route to Heber to “investigate a call about dead horses.” In a brief phone conversation with the Independent later that day, Clark confirmed that U.S. Forest Service Deputy John Lopez would be investigating, as the case falls under the jurisdiction of the Forest Service. “Band stallion in the Apache-Sitgreaves National Forest in Arizona found shot dead,” reads the heading of their Tuesday social media post. Citizens Against Equine Slaughter, (CAES), a political action group that actively supports preservation of the Heber Wild Horses, also contacted the Independent by phone and email. CAES is urging the public to contact the Navajo County Sheriff’s office WeTIP Hotline at 1-800-78-CRIME. They may also be contacted directly at 541-315-6650. In addition to the reward being offered, Heber Wild Horses and Citizens Against Equine Slaughter, (CAES), are not waiting around for the results of a Forest Service investigation, which they distrust. “I’m calling the Federal Bureau of Investigation,” assures Crawford. The distrust they express relates to the apparently unresolved October, 2018, death of two stallions in the Heber Wild Horse Territory. That situation is similar in nature because horse advocates and some members of the public believe the stallions were purposely shot. This case is still under investigation by the Forest Service. Tuesday’s reported deaths of the black stallion and bay mare appear uncomfortably similar to last October’s deaths. “The vet is supposed to come find the projectiles in the horses but we’ve been through this before,” stated Crawford on Tuesday evening. “Low and behold they told us they didn’t find anything when the stallions were found last fall and were buried after we complained. Evidence just seems to disappear up here,” says Crawford. “We are contacting Congressman Raul Grijalva and the Attorney General on behalf of Heber Wild Horses,” says Val Cecema-Hogsett of CAES. Killing wild horses is a violation of US 95-192, the federal law governing protection of wild horses. The Heber Wild Horses are considered protected under this Act. “Any person who … maliciously causes the death or harassment of any wild free-roaming horse or burro… shall be subject to a fine of not more than $2,000, or imprisonment for not more than one year, or both,” reads the code on the Bureau of Land Management website under Section 8, which documents The Wild and Free-Roaming Horses and Burros Act of 1971. “With regard to public safety, the Navajo County Sheriff’s Office will respond to reports of people shooting in an unsafe manner,” assured Moffitt. “We will continue to investigate all calls as we receive them. Through that process we make a determination of whether law enforcement action is necessary,” said Moffitt. The Independent contacted the Forest Service, asking for a press release regarding the dead horses. Despite the federal government shutdown, which includes the U.S. Forest Service, email responses were received within hours of the requests. “Currently, USDA Forest Service Law Enforcement are investigating several incidents such as these, and therefore cannot comment on the details of ongoing investigations,” wrote Apache-Sitgreaves National Forests Supervisor Steve Best in a Wednesday email response to the Independent. Has anyone run a metal detector over the carcasses? Might be a quick and easy way to determine if they were shot (unless the bullets went all the way through, but then there’d be an obvious exit location). Icey – You will want to read the article and information that Louie posted below. I quote, “So in my opinion, the best thing to with these up here would be remove every one of them. Whether they go to adoption, or, you know, I hate to say it, euthanized or to a slaughter plant,” Gibson says. Was Gibson talking about cattle??? He is talking about destroying the Heber wild horses. You will want to read the article I posted. I GOT THIS MESSAGE: There is no doubt that the horses were shot. Some people were out there at the sight of the dead horses before scavengers had a chance to get to them. Pictures of the bullet holes were taken. A citizen did run a metal detector over them that indicated there were bullets in them but even without that it was evident that was the cause of death. GG, I was being sarcastic, sorry. What wild horse is ever wearing a halter — much less letting anyone near enough to take it of– especially strangers? The nugget of information that said they haul an empty trailer around in the forest on a regular basis is pretty sketchy, too. It seems they may be turning horses loose or… trafficking in other unsavory matters on our public lands. Was the one they claimed to take the halter off also shot? What a bunch of thuggish looking characters. I see that some people are taking full advantage of the gov’t shutdown (not that the responsible agencies do much anyway). I do hope the Internet will recognize and report them. I’m sick of the ranching is king bull. The Forest Service is among the least popular agencies to work for in the federal government, according to an annual survey of public employees. “We have people come from Germany, Italy, France. We have people who come from Romania,” Hutchison says. The Independent was able to confirm with Forest Service authorities that a Forest Service Deputy and a veterinary expert are currently on scene actively investigating. Heber Wild Horses and CAES have requested updates about the status of the ongoing investigation(s) since last year. They have also asked if necropsies would be performed on the horses to determine the cause of death. They have also asked for bullets to be removed from the horses in an effort to preserve evidence and to apprehend whomever may be killing the federally protected animals. Answers have yet to be provided. Requests for information from state and local media, area residents and the horse advocate groups about when, or if, necropsies will be performed on the dead horses remain unanswered by the Forest Service. Boots-on-the-ground members of Heber Wild Horses have also gathered pages and pages of information documenting what they feel is “suspicious activity” in the forest prior to finding the dead horses. Perhaps our Wild Horses & Burros need to be put under the protection of the Dept of Homeland Security..if the other agencies are unwilling or unable to handle the challenge.